Carpool Accident Lawyers St Louis, MO. In the United States, the percentage of Americans who carpool has increased exponentially with popular ridesharing services and environmentally conscious individuals looking to save money and reduce their carbon footprint through carpooling. With several new carpool and ridesharing companies opening businesses within the surrounding St. Louis and Illinois region, the chances of a carpool or ridesharing accident have also increased. Even though car accidents regarding ridesharing and carpooling can be rare, in the event of an unfortunate circumstance you or your loved ones need to be aware of your options, such as who can be held liable, and what you are entitled to as victims. The experienced legal team at Burger Law has dealt with multiple carpool and ridesharing cases and will handle your situation with the utmost care and expertise required. If you or a loved one has been in a carpool accident or ridesharing accident, reach out to the lawyers at Burger Law today for a free evaluation of your case. Burger Law knows how to do deal with the complexities of a carpool or ridesharing accident. We know that in these rare situations, who is at fault can be confusing and how to receive the most in compensation for damages or injuries can also be a complex and difficult issue. Our carpool accident lawyers are experienced in litigating these cases, and we ensure that our clients receive comprehensive legal counseling that covers all aspects of a carpool or ridesharing accident. If you or a loved one has been hurt mentally, physically or financially in a carpool or ridesharing accident, let Gary Burger and the carpool accident lawyers at Burger Law make sure that you get the fair and just compensation that you deserve. Burger Law Firm provides expert legal counseling in the Greater Missouri and Illinois areas. If you need more information regarding carpool or ridesharing accidents, how those liable are held to account, or any other information regarding the complexities of carpool accidents or ridesharing accidents, contact Gary Burger and the carpool accident lawyers at Burger Law today. We will provide you with expert legal counsel and advice throughout the entire process. The Carpool Accident Lawyers at Burger Law do not charge you unless we win the carpool accident claim for your family. We dedicate our firm to exclusively fighting for you when a person, corporation or insurance company acts unsafely and causes the harm of a family member or loved one. We aggresively pursue cases to get great recoveries for our clients. The Carpool Accident Lawyers of Burger Law work on a contingency-fee basis. You will not owe any fees or expenses unless we win your case. Burger Law is well-financed and we have the resources and legal expertise to win the capool accident claim held by your family. 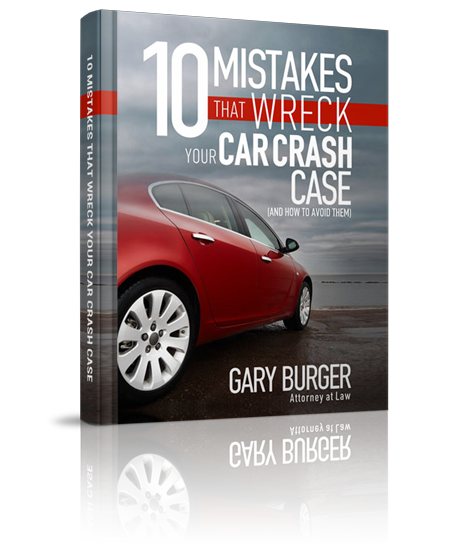 Gary Burger and associates are driven by their shared passion for helping capool accident victims. Burger Law has recovered over $50 million dollars in the last 16 years. If you or a loved one has suffered due to a car accident, truck accident, or any other accident in St Louis or the surrounding area, allow the attorneys of Burger Law to help you recover. Call us at (314) 542-2222, fill out our contact form or complete our free case evaluation to get started on the road to justice for you or your loved one.